"We'd like to give a HUGE shout out to Eckard's Flooring for the awesome job they did installing our new wood floors and carpets! Sean and Mike, you guys are fabulous at what you do and we appreciate your professionalism and talent. Dane and Carl, thank you so much for being so patient with us and answering all our questions and even coming out to the house just to help put our minds at ease about the process." Berber carpets are a modern style of carpet, distinguished by a loop pile construction type, and many times contain small flecks of various colors to create a textured color palate. This type of material is available in a variety of patterns created from combining high and low loops to form geometric patterns such as diamonds and checker patterns. Similar carpets to berbers are called “cut and loop” as they combine aspects of plush and berber to create more intricate pattern such as leaves, swirls and other abstract looks. These materials share many of the same attributes a true berbers, and can be thought of similarly. Remember, the bigger the pattern, the more important it becomes to pay close attention at the seams to make sure those patterns line up 100% correctly. Berbers, like most carpet are available in a variety of qualities and price ranges based on several key factors. First, fiber type is always the main defining indicator of cost. Nylon is the premier fiber to look for when choosing most any carpet as it is resilient to foot traffic and easily cleanable. Many berbers are created from olefin fiber which is actually a recycled plastic material, making it prone to creasing under heavy foot traffic, thus it is not as resilient over time as Nylon. It is also a bit less costly making these olefin berber products ideal budget materials for rentals and light office spaces. Another factor to consider is density. High traffic office spaces that get lots and lots of traffic are usually interested in a 30 – 36 ounce product, as opposed to the 20 – 28 ounce materials that are common, but not quite right for this setting. Berbers are by their looped nature tougher to seam perfectly than their plush cousins. When putting these carpets together, it is important for the installer to “follow the row” to avoid cutting the loops. Sometimes it is impossible however, to avoid cutting the loops. This can create a bit of a fuzzy line at that seam. We can and will certainly go over seam placement and our feelings of how they will turn out at the time we look at different products here in our carpet showroom. Another factor to consider when looking at berber carpeting are the pets you may have that will be living on this carpet with you. Pet nails often times have problems with catching the loops and pulling them out of place, creating a “run” in the middle of the room. Proper grooming can lessen this affect, but it can be another factor in considering this product. Berber carpets are created with a backing system that is generally stiffer than other types of carpeting making your pad choice very important, but easy. 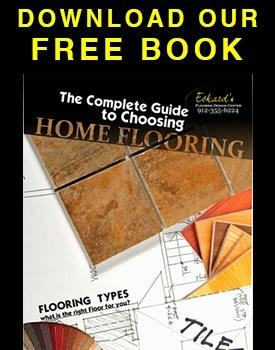 We at Eckard’s Flooring do not recommend anything thicker than a 3/8″ pad. Going thicker makes it tougher for these backings to properly stretch over and can lead to wrinkes in a short amount of time. Over all, berbers can add a very classy, timeless touch to any space.